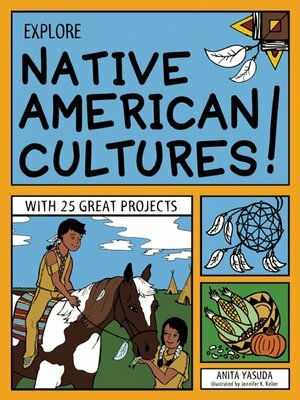 Explore Native American Cultures! with 25 Great Projects introduces readers to seven main Native American cultural regions, from the northeast woodlands to the Northwest tribes. It encourages readers to investigate the daily activities—including the rituals, beliefs, and longstanding traditions—of America's First People. Where did they live? How did they learn to survive and build thriving communities? This book also investigates the negative impact European explorers and settlers had on Native Americans, giving readers a glimpse into the complicated history of Native Americans. Readers will enjoy the fascinating stories about America's First People as leaders, inventors, diplomats, and artists. To enrich the historical information, hands-on activities bring to life each region's traditions, including region-specific festivals, technology, and art. Readers can learn Native American sign language and create a salt dough map of the Native American regions. Each project is outlined with clear step-by-step instructions and diagrams, and requires minimal adult supervision.